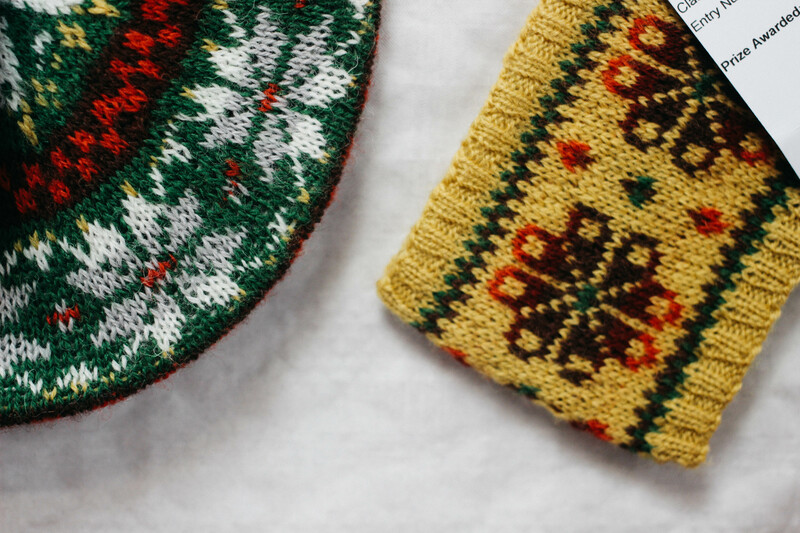 So congratulations DottyBev and Hedwychs, I have contacted you by Ravelry message, they have both won a gift voucher to spend at J&S, thank you again to everyone who took part – we have really enjoyed seeing the different ways people put the colours together! 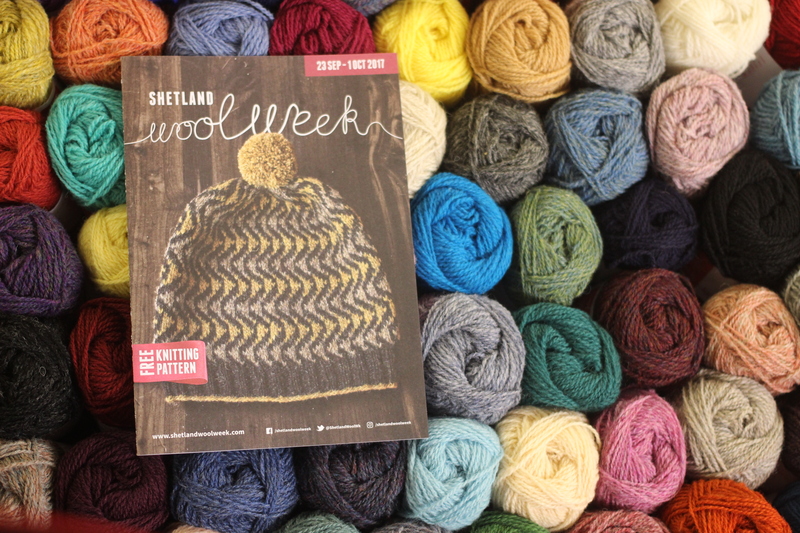 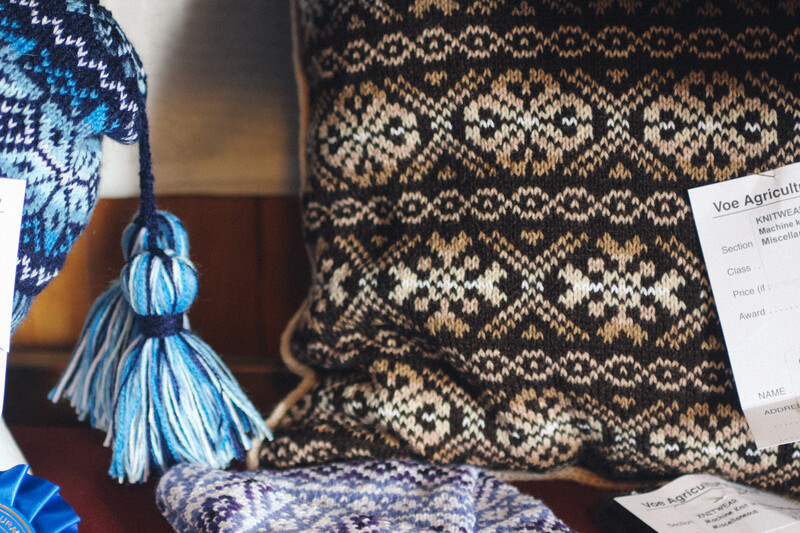 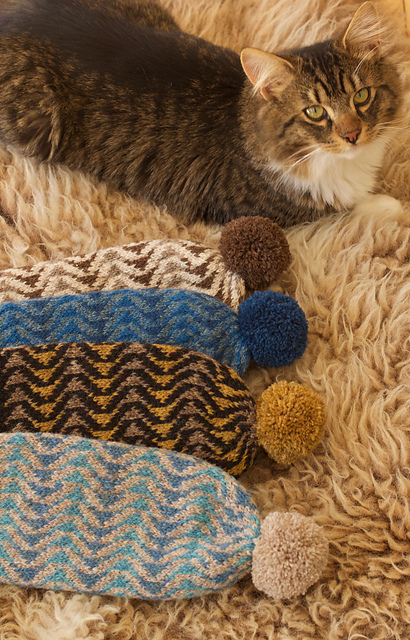 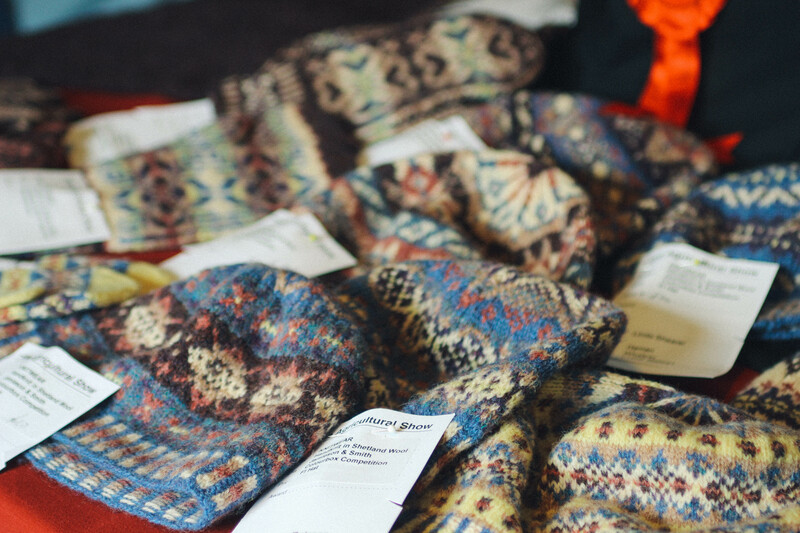 We will be having a little break but we were thinking to have a KAL for the Shetland Wool Week pattern – the Bousta Beanie – probably beginning in June so keep an eye out for that. 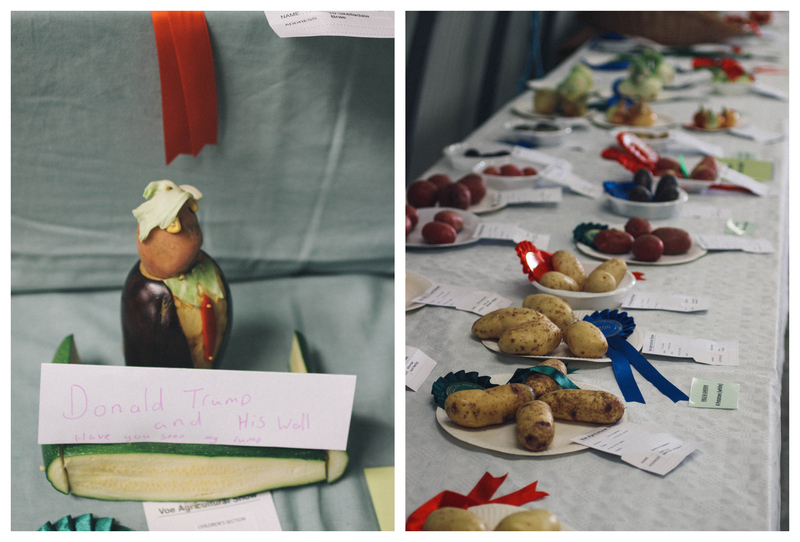 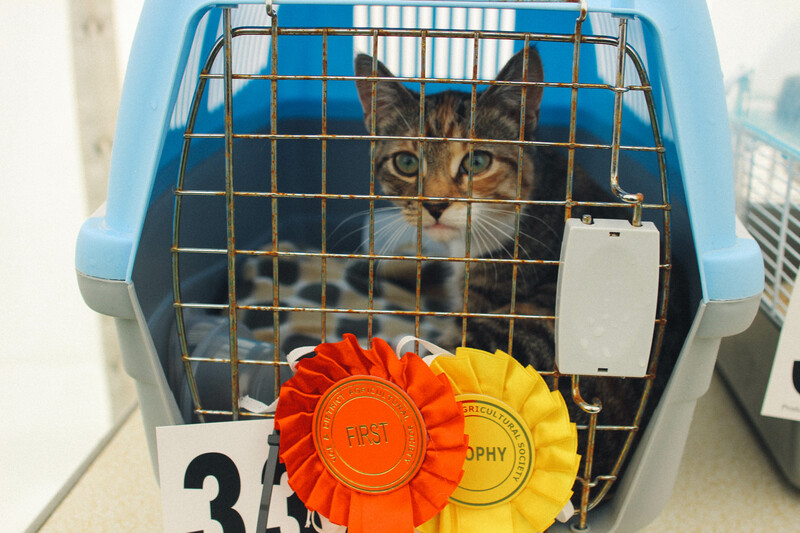 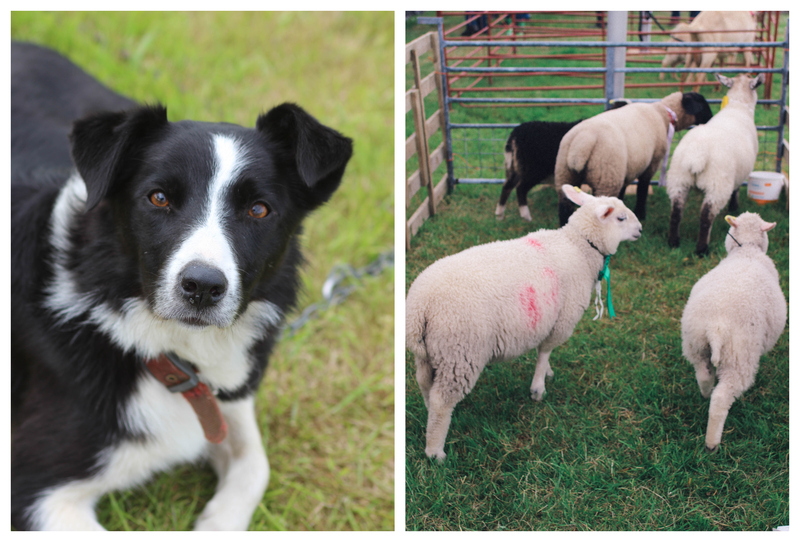 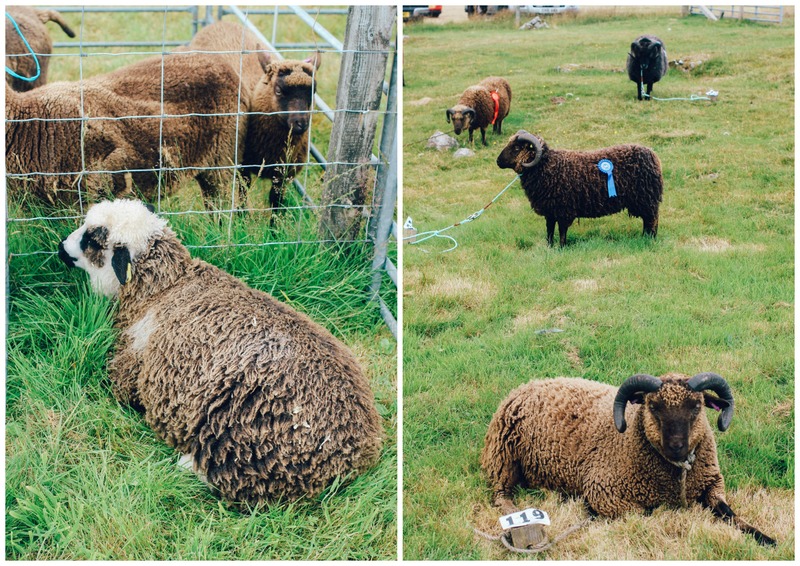 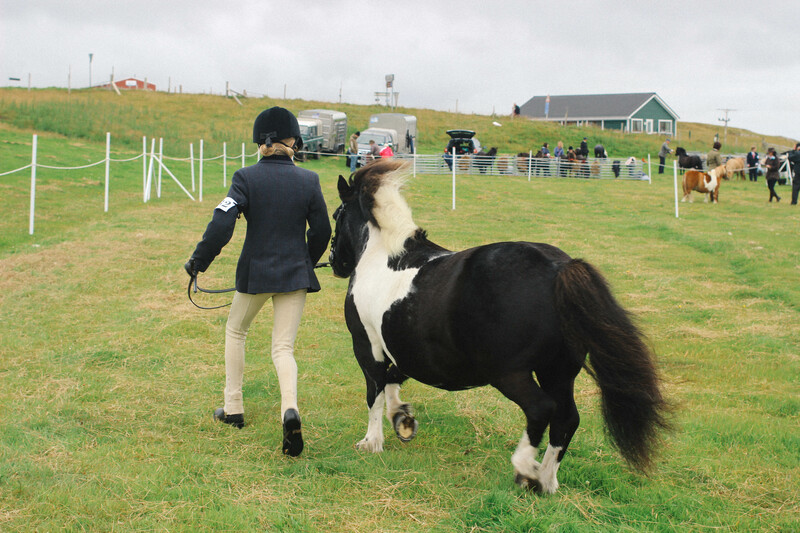 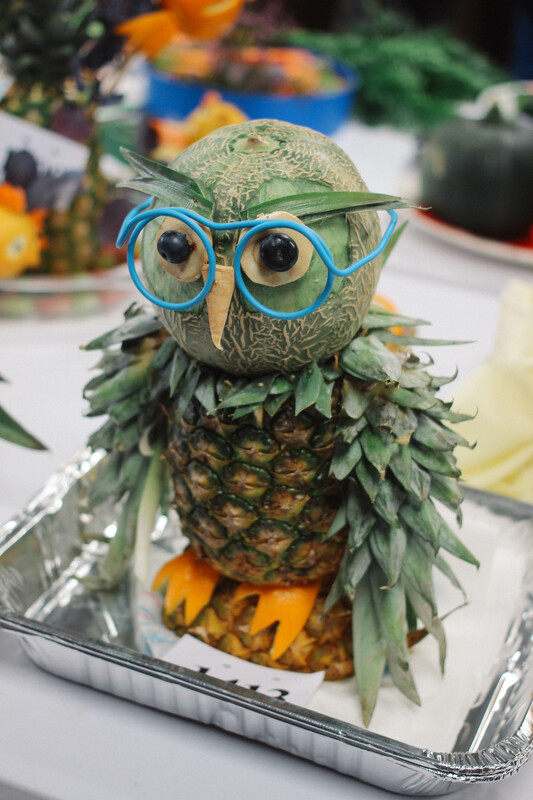 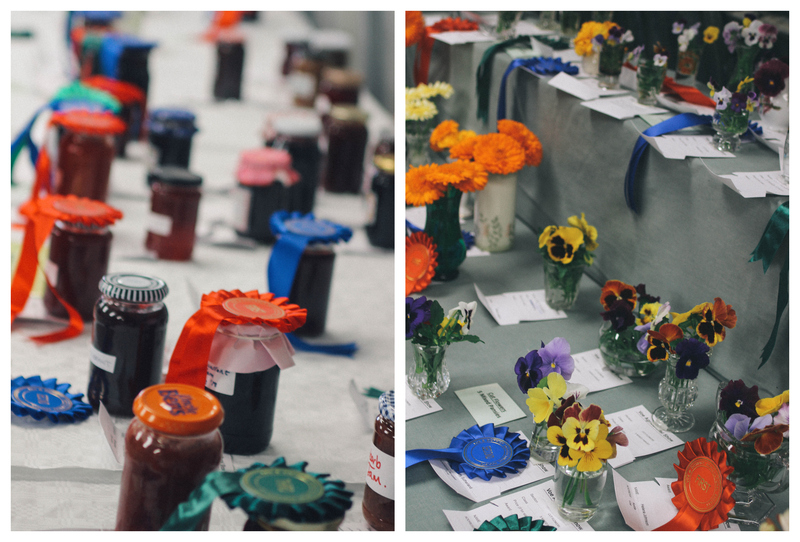 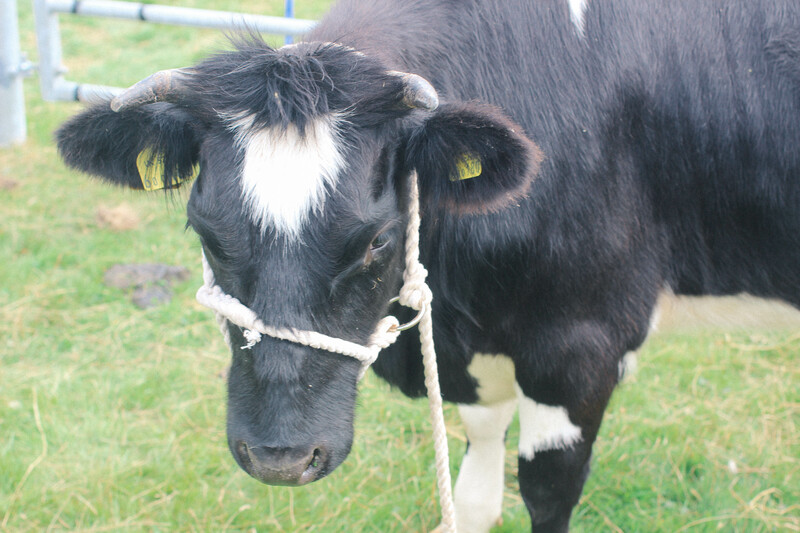 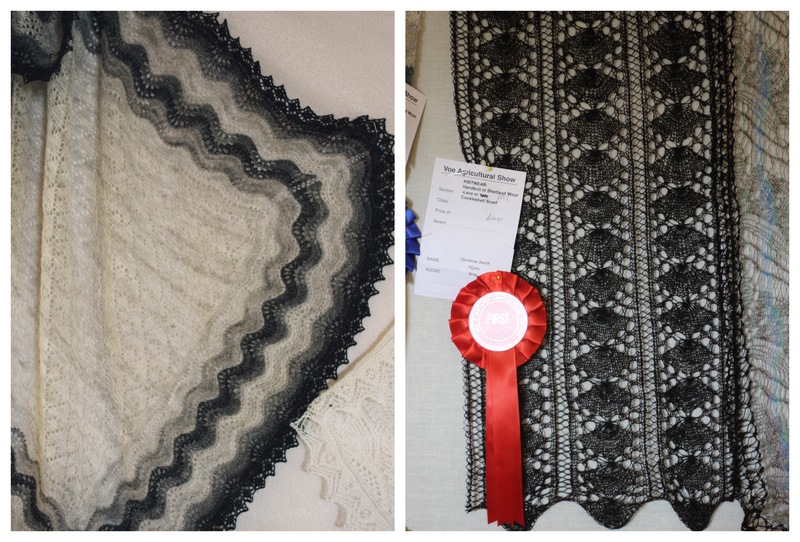 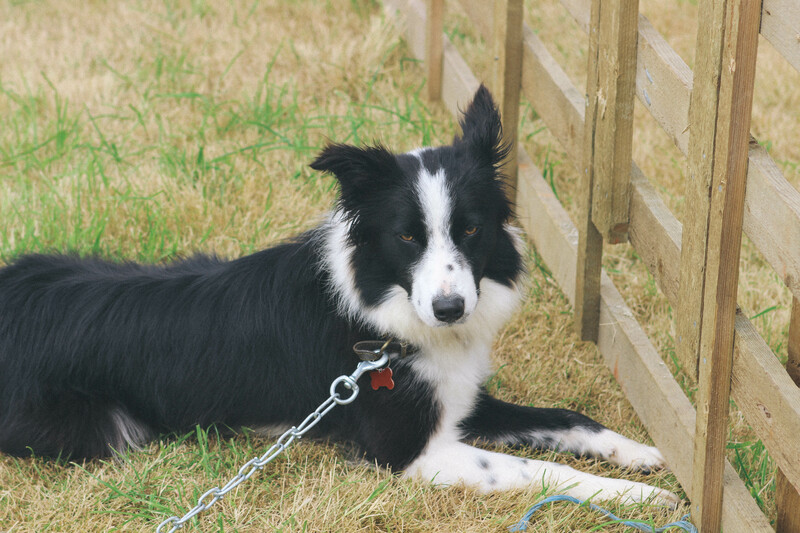 On Saturday I (Ella) had the task of heading up to the Voe Show to Judge the Colourbox Competition. 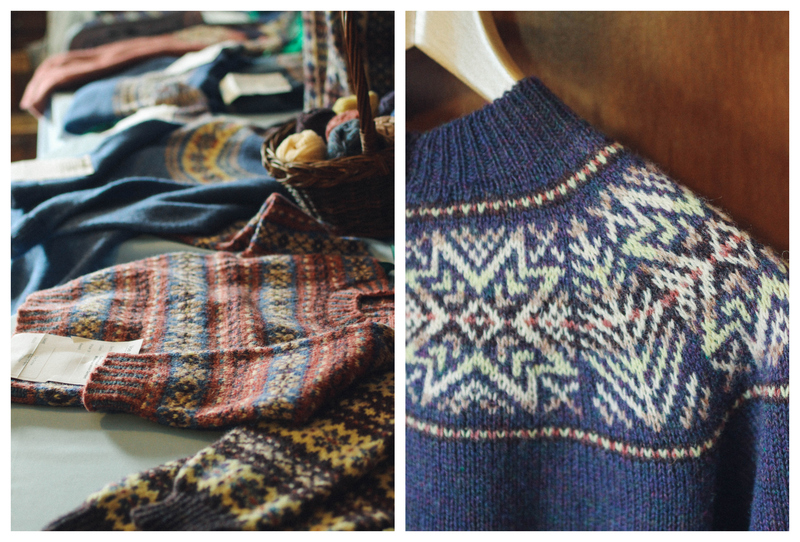 We have mentioned it many times before but in case you’re not sure what it is – every year we choose a selection of 8 shades of yarn and people have to use at least 5 of the shades in a Fair Isle garment or accessory. 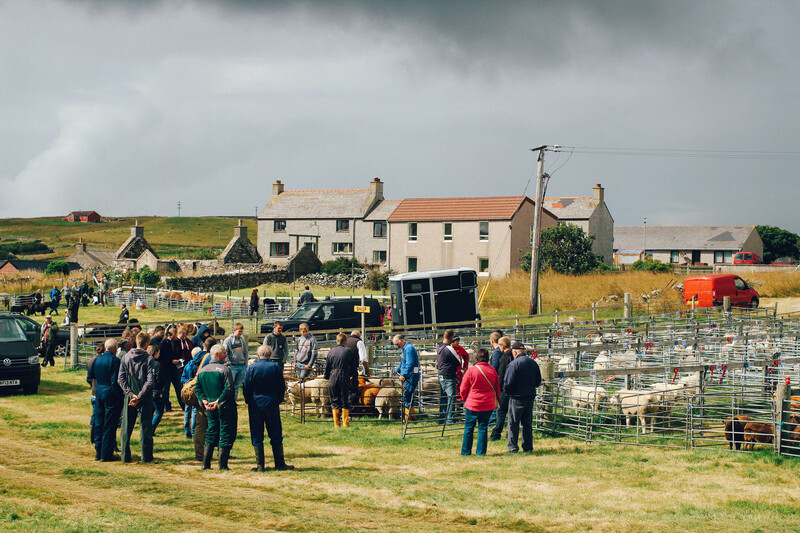 They then enter it into the Voe, Cunningsburgh or for the first time this year the Walls show. 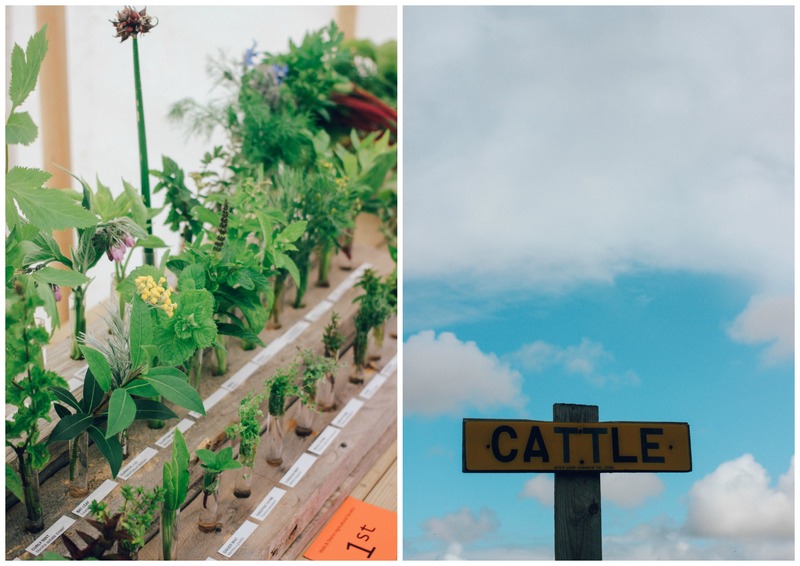 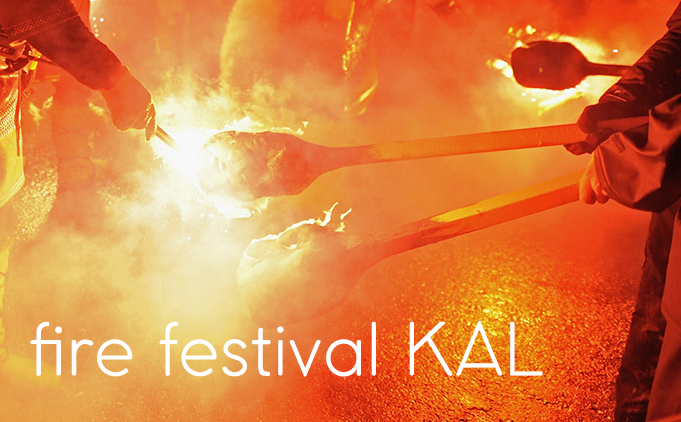 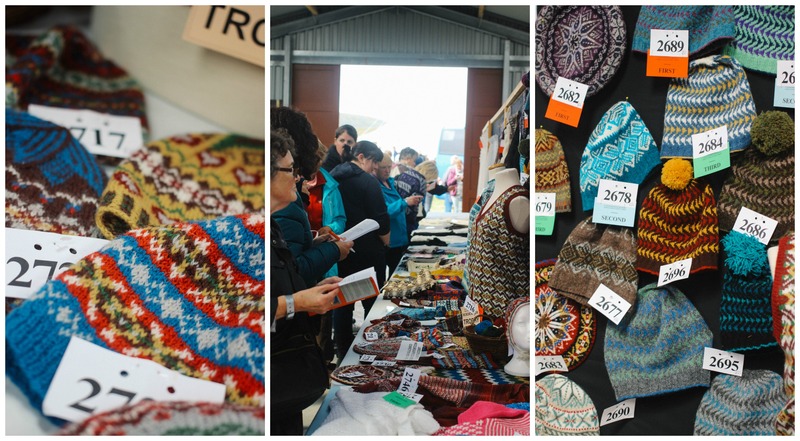 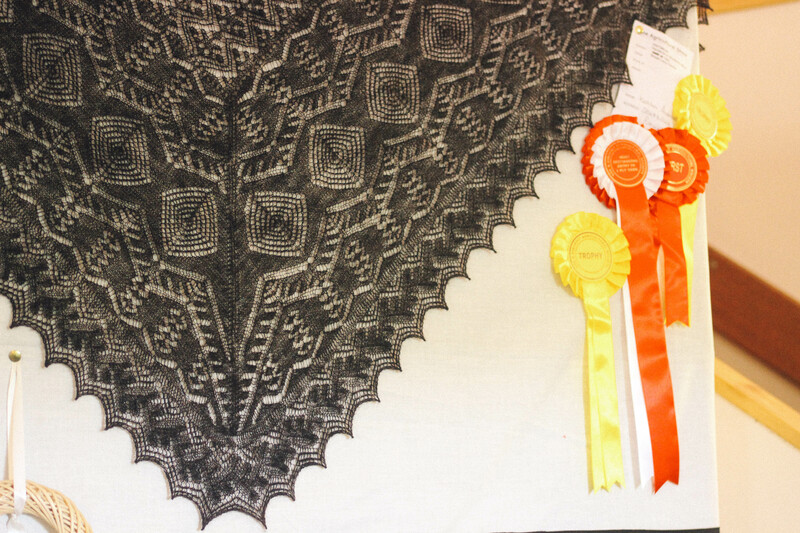 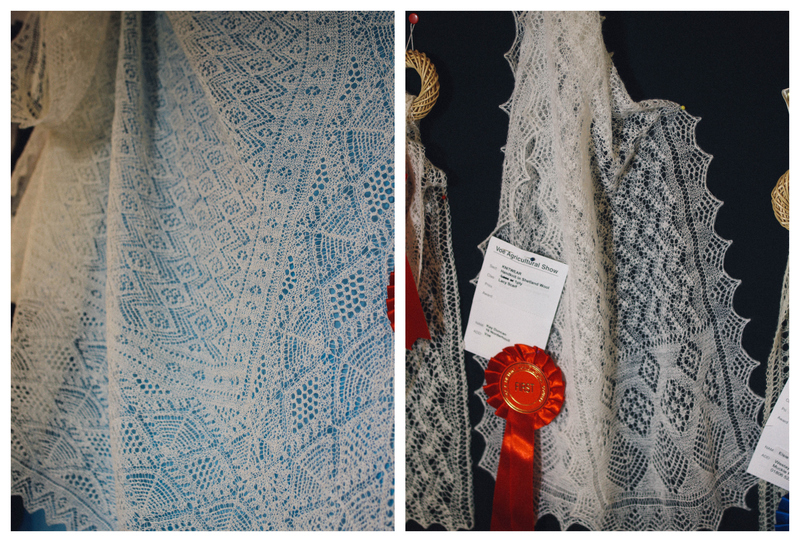 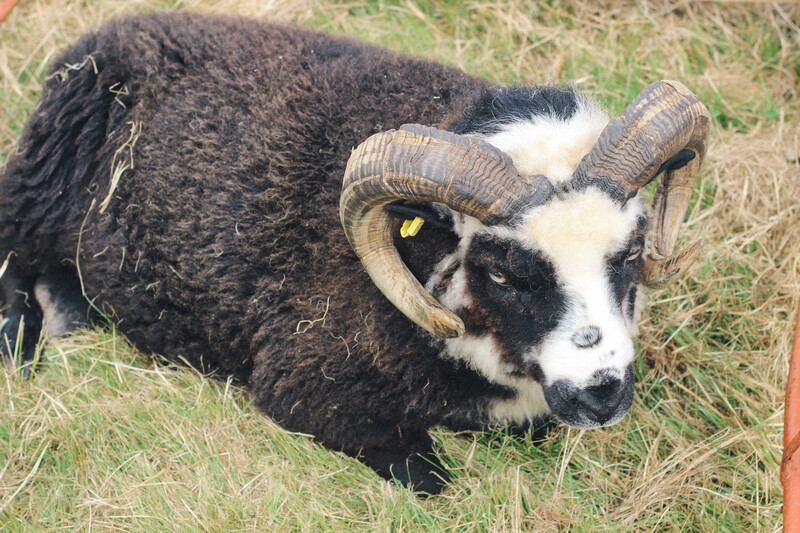 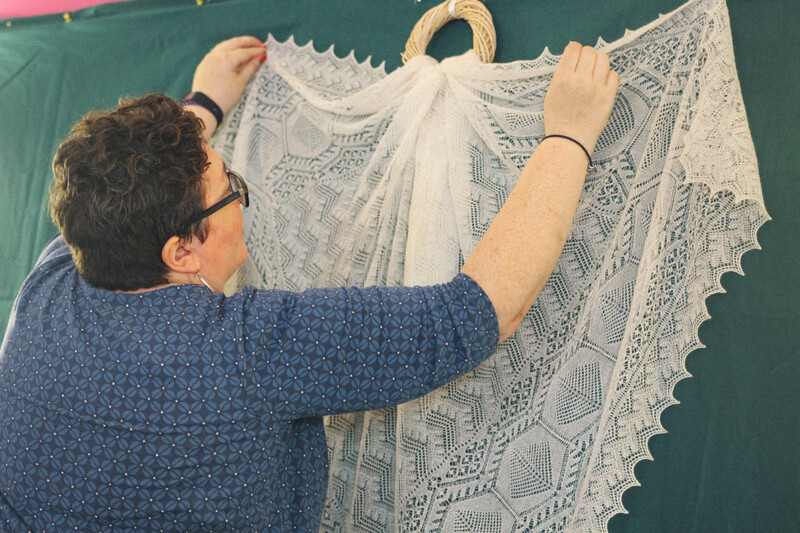 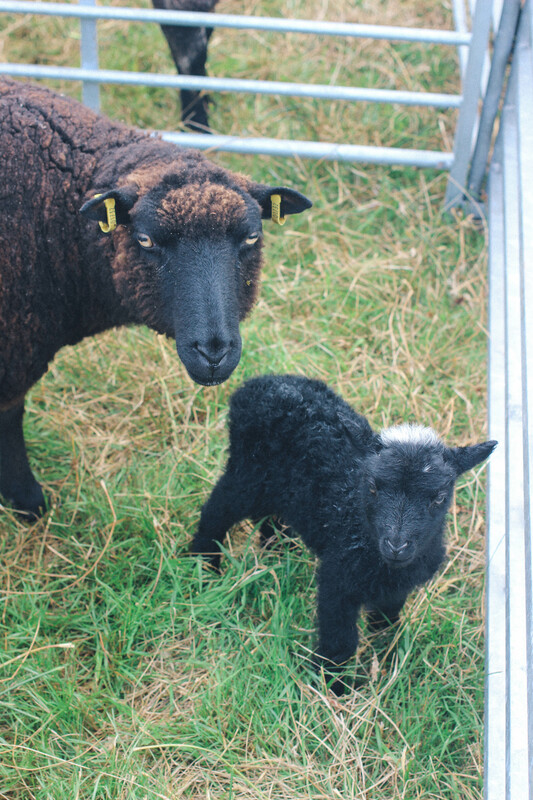 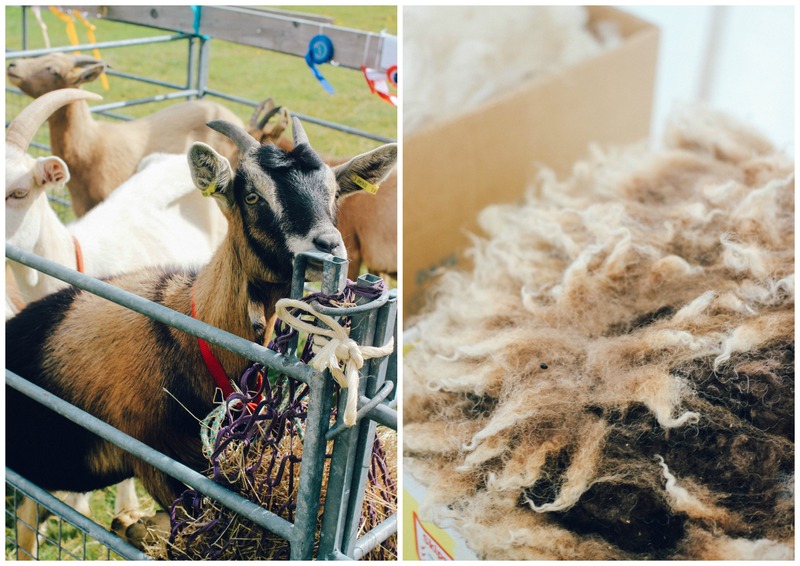 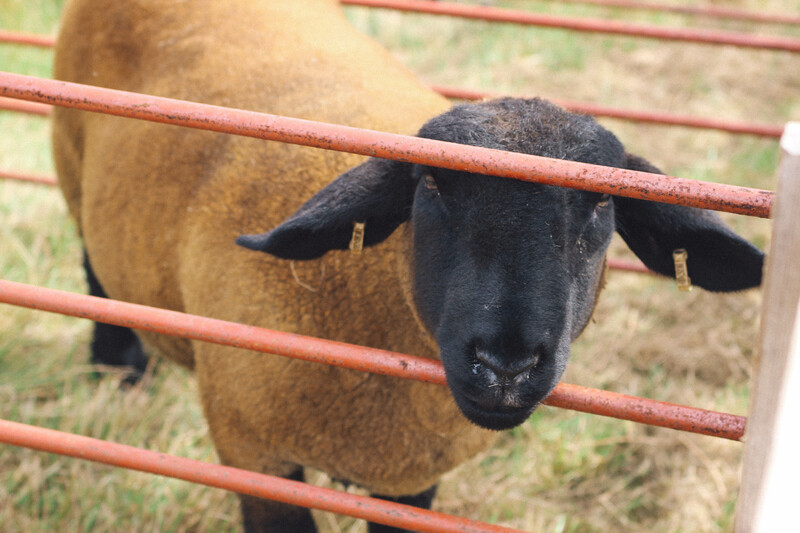 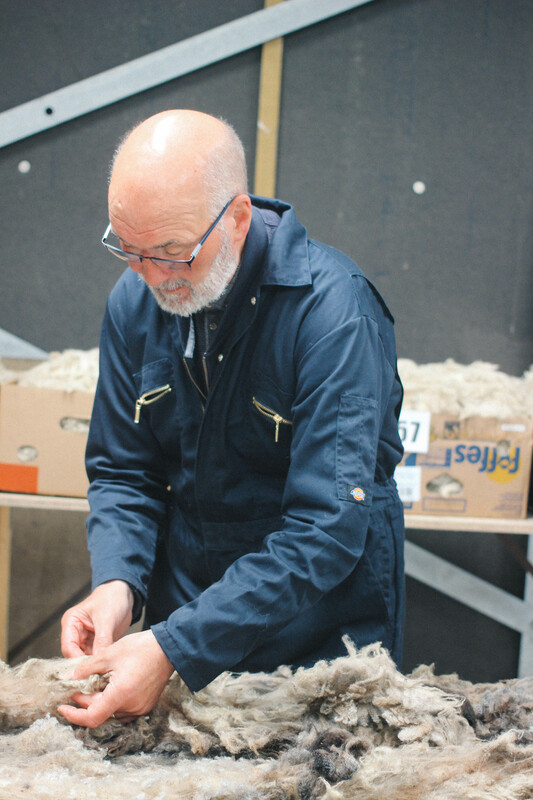 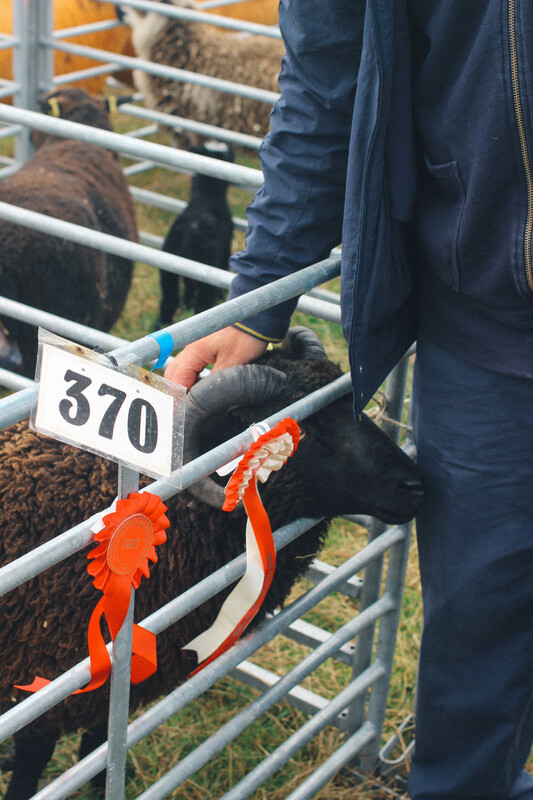 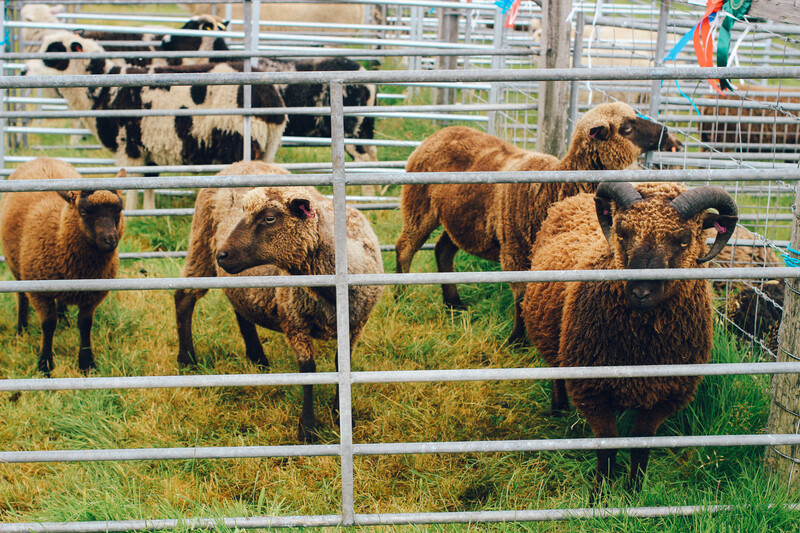 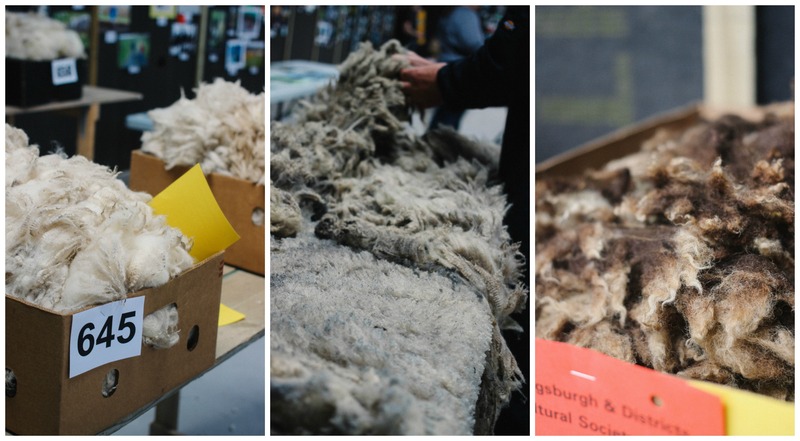 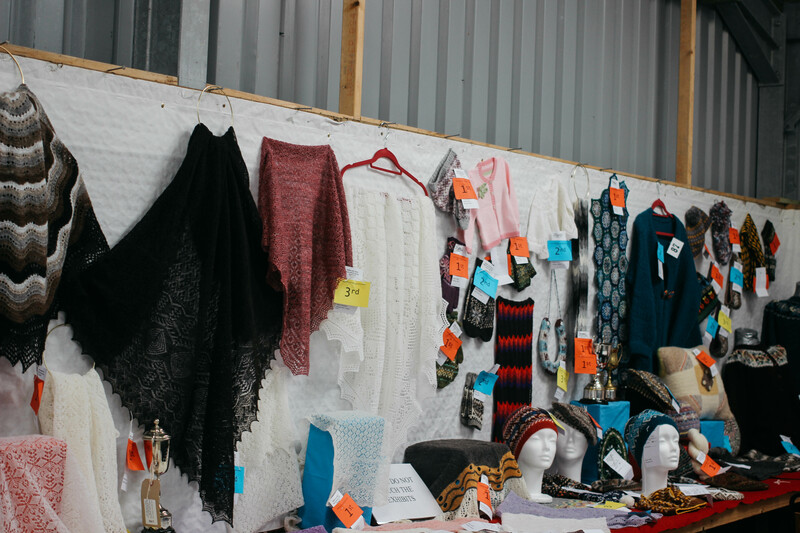 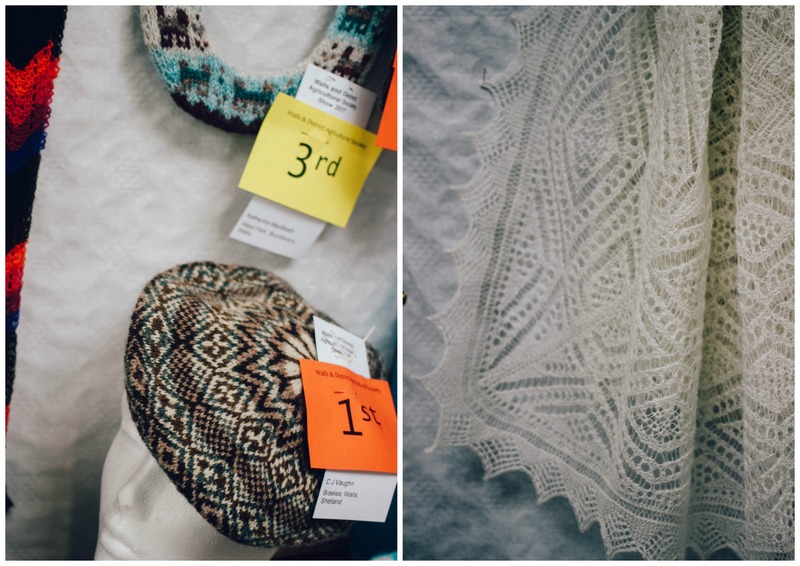 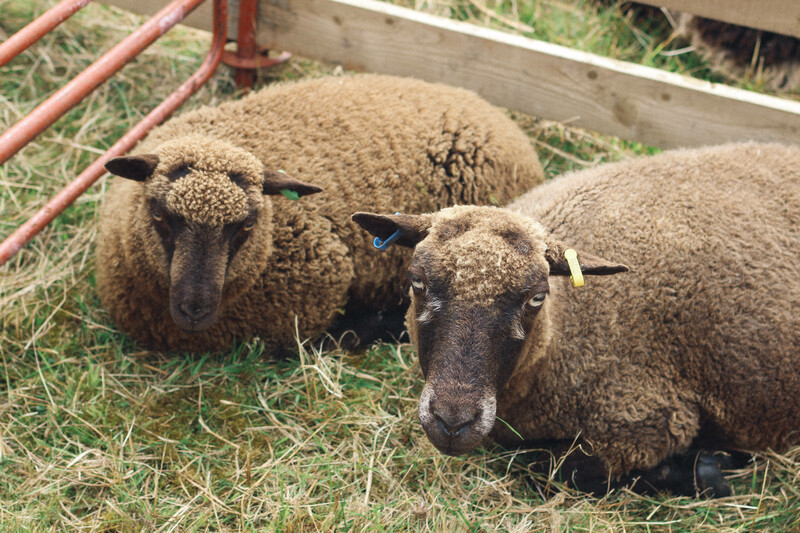 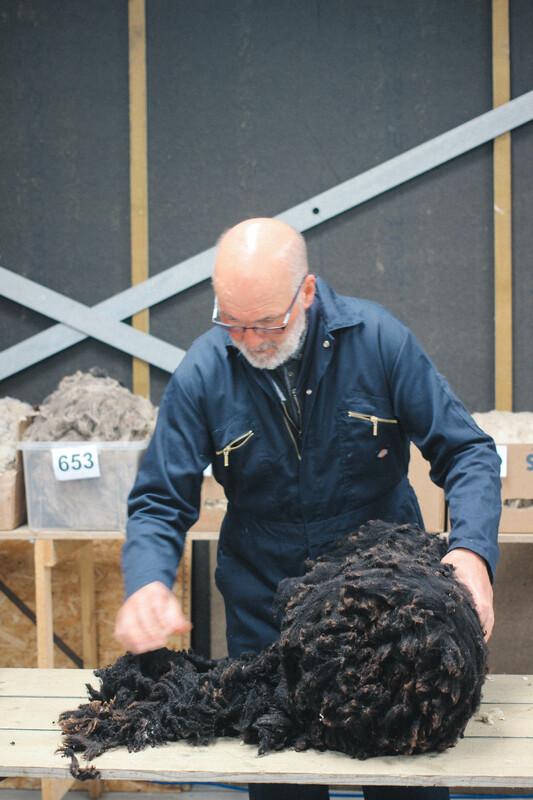 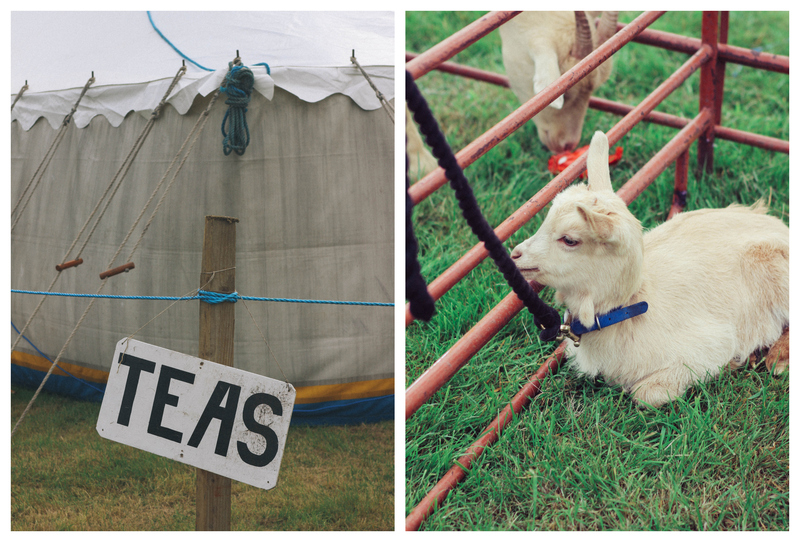 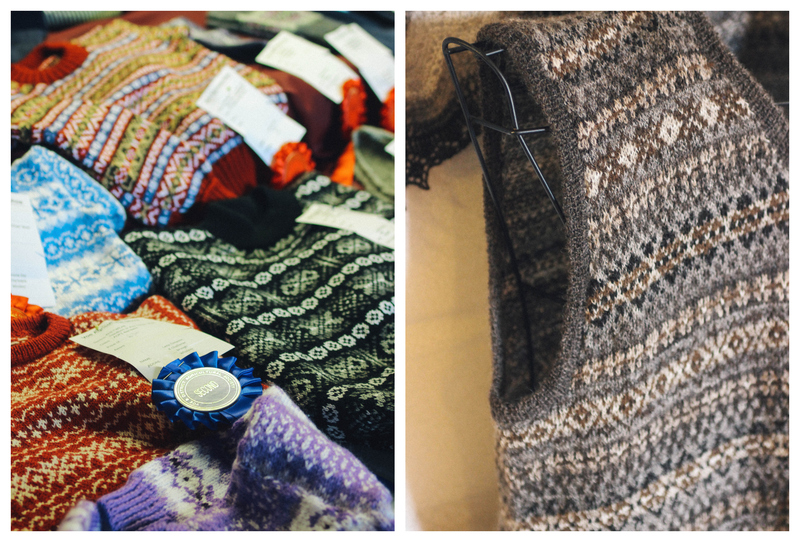 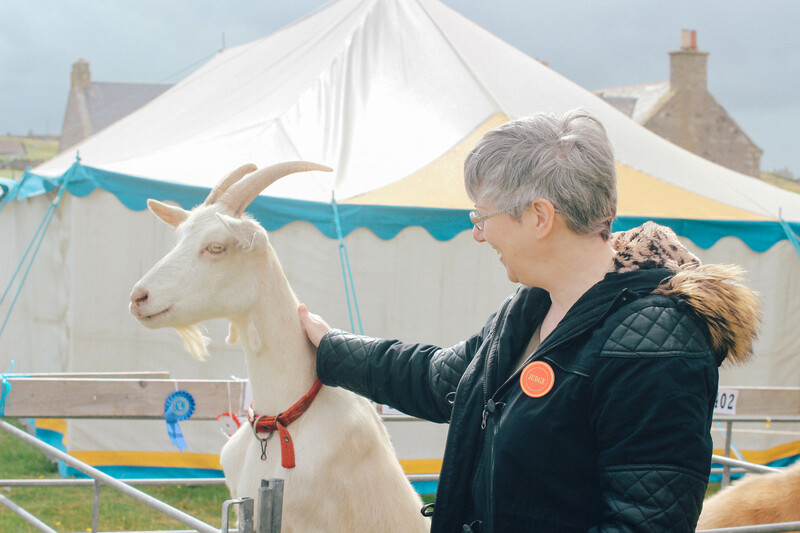 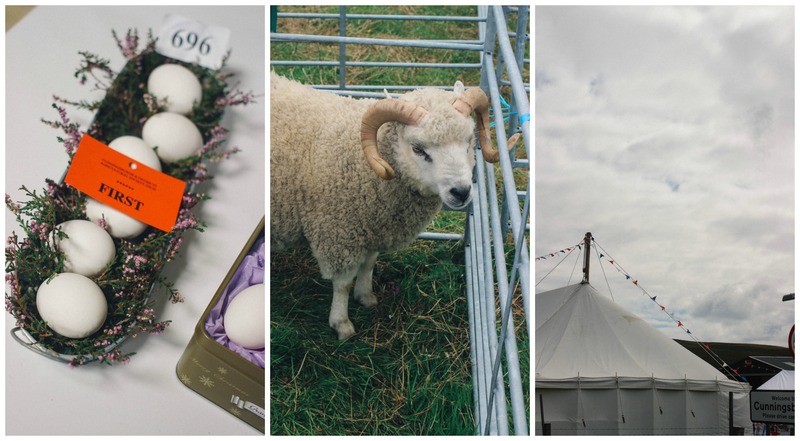 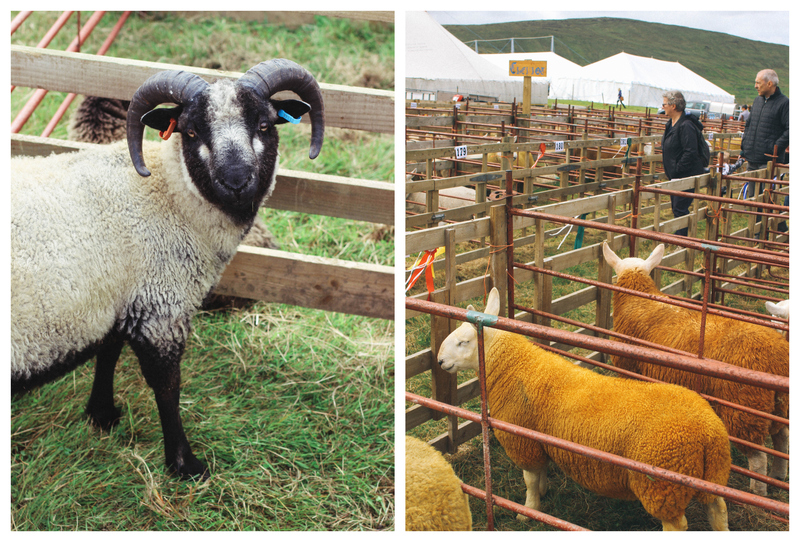 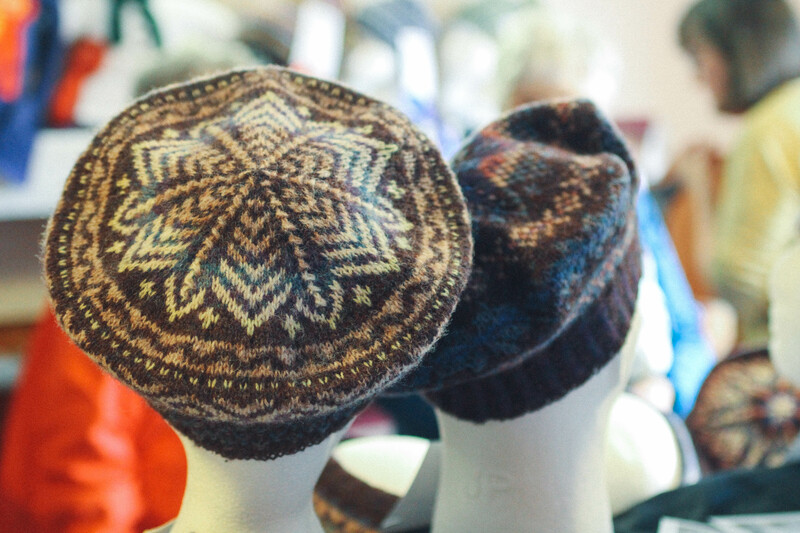 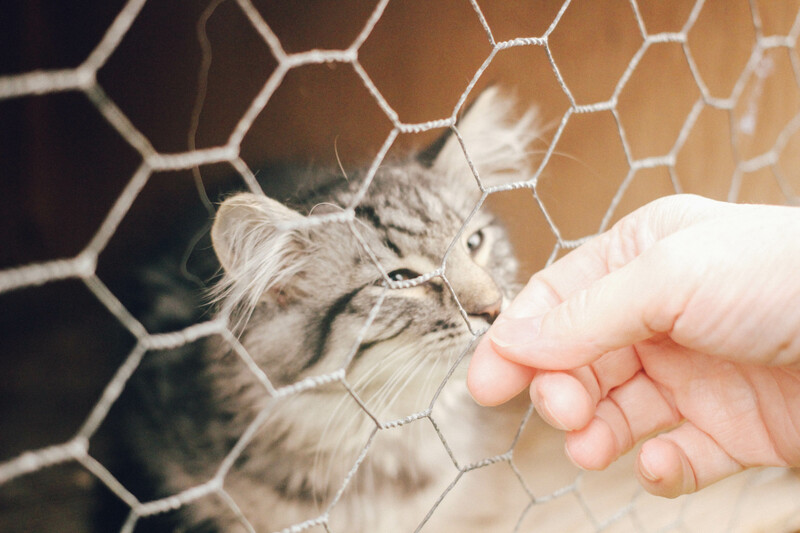 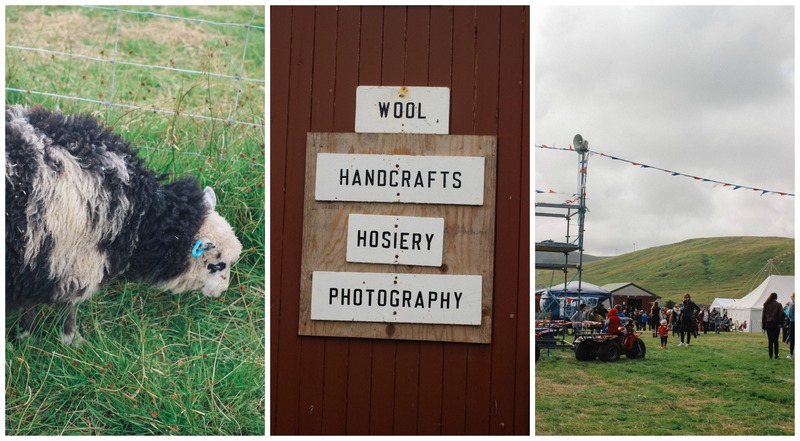 There are a number of these shows which go on all over Shetland in the Summer, filled with livestock, animals, vegetables, flowers, baking and our favourite of course – knitting!! 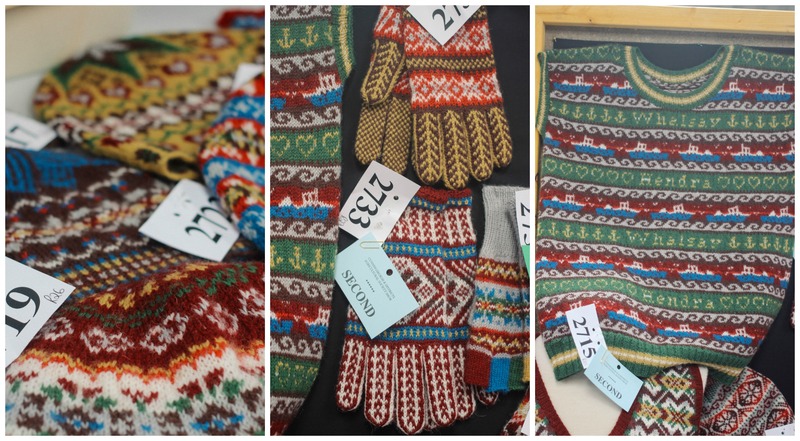 This years shades were 2ply Jumper Weight – 71, 118, 80, fc39, 82, fc22. 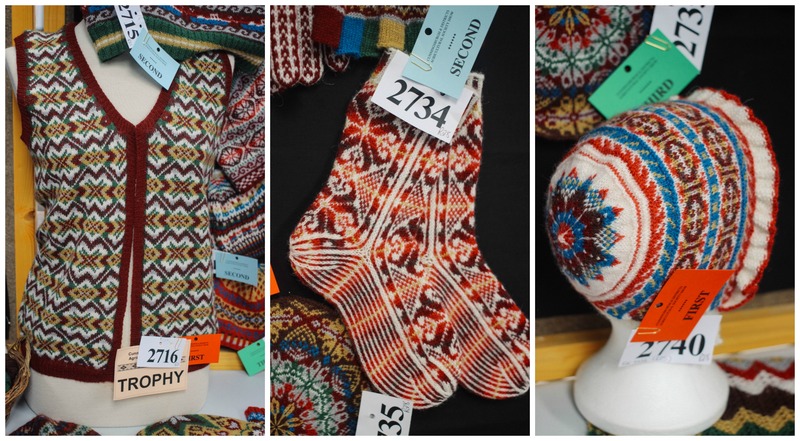 9097 and 9144 and as always I was amazed at the finished items! 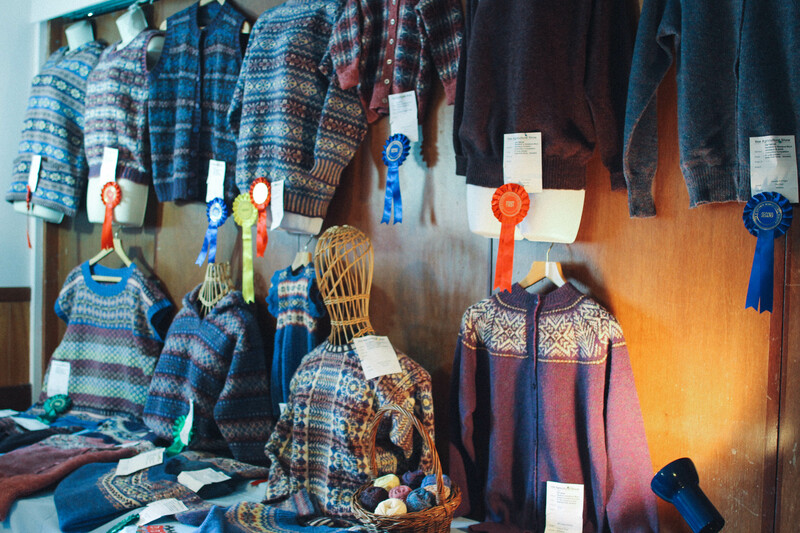 I wish I had got more pictures but I was busy judging and when I came back later the knitwear was full of folk so I couldn’t get near! 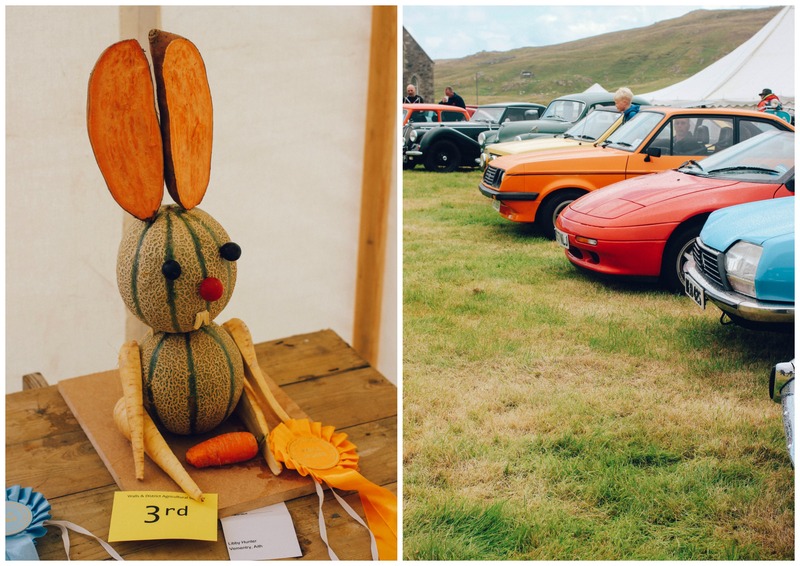 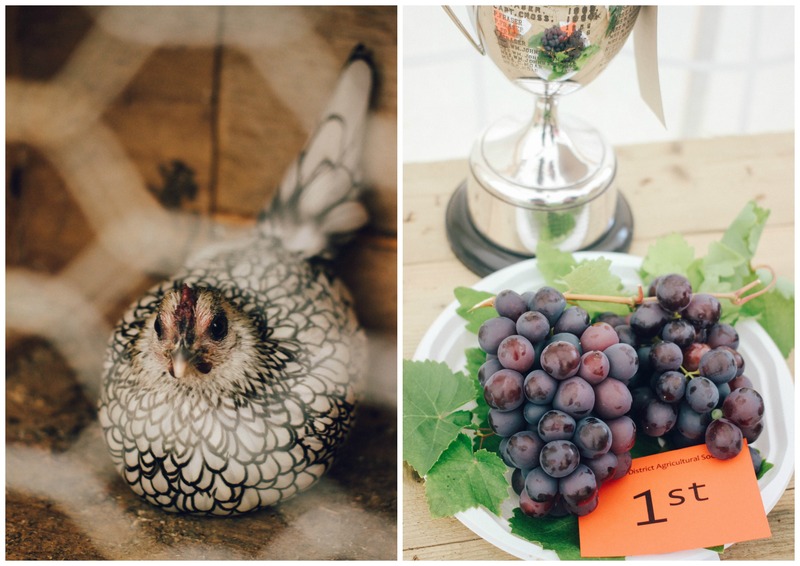 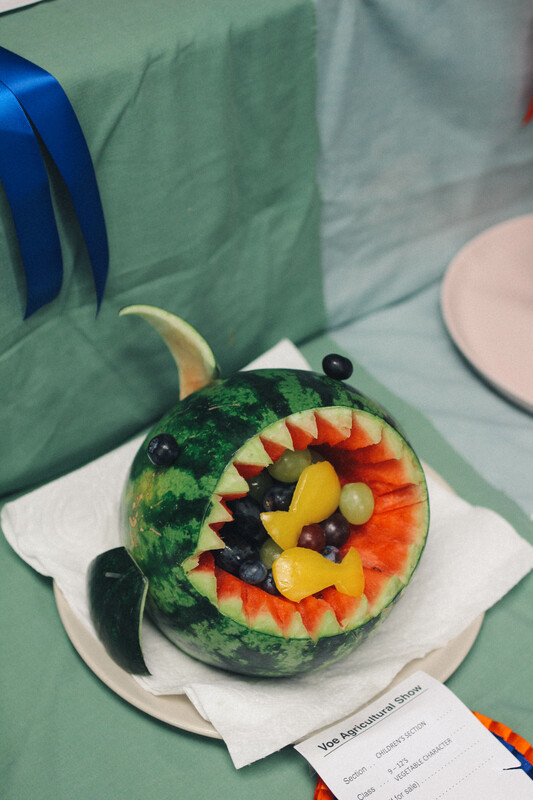 Voe always has an excellent amount of entries in the Colourbox and this year was no exception even though I would say the colour’s were a bit trickier than years before – but it is meant to be a challenge and to push people out of their comfort zones. 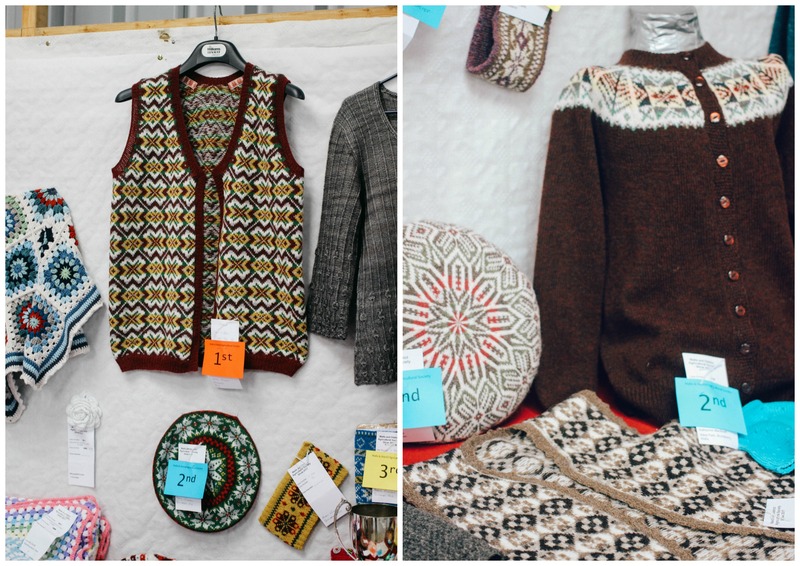 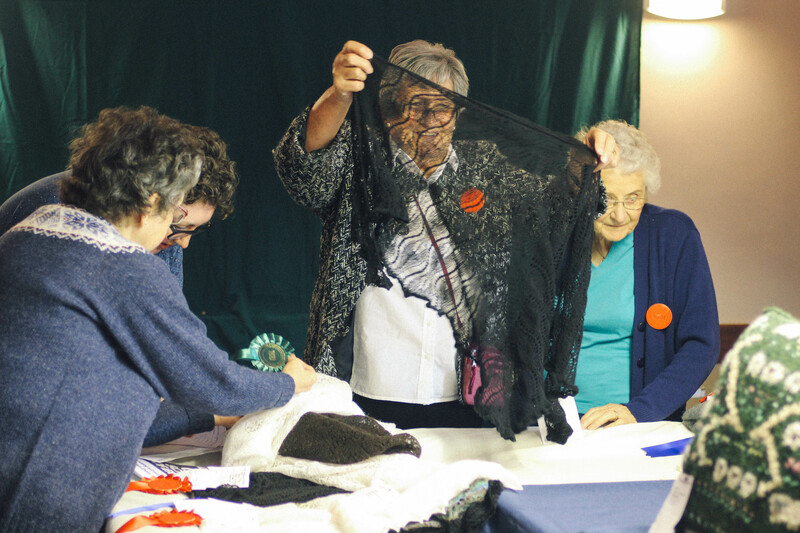 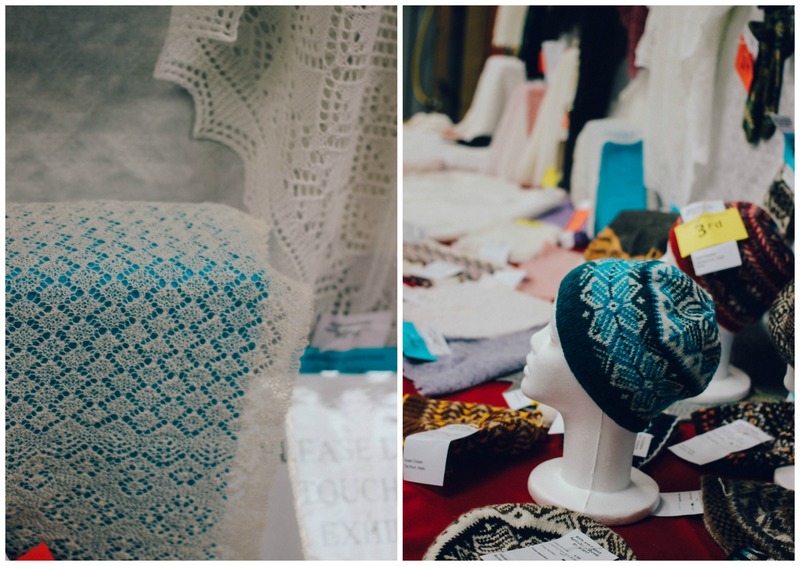 Apart from the colourbox, there were some amazing examples in the other knitting categories, everything is covered from 1ply lace to yokes and cardigans, mittens, gloves, scarves, machine knit and hand knit. 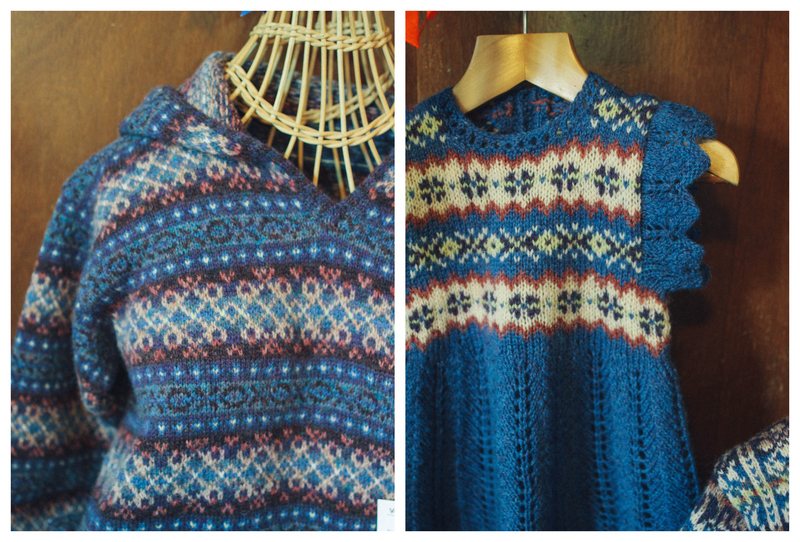 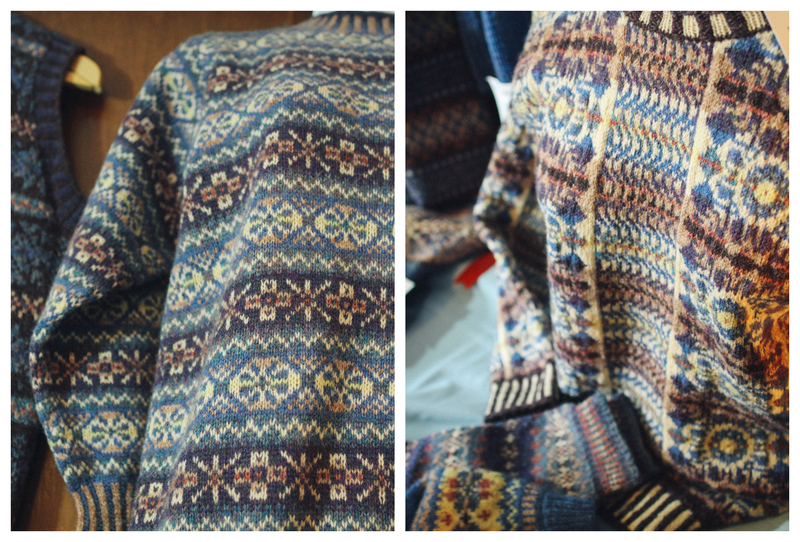 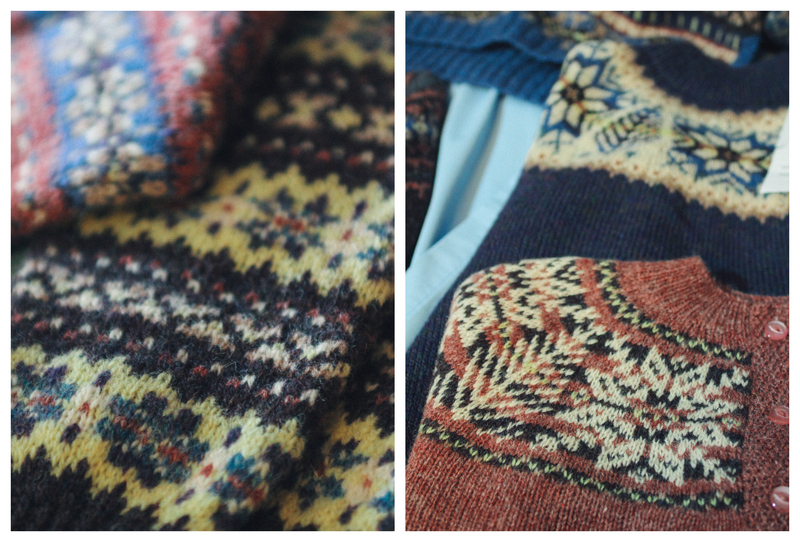 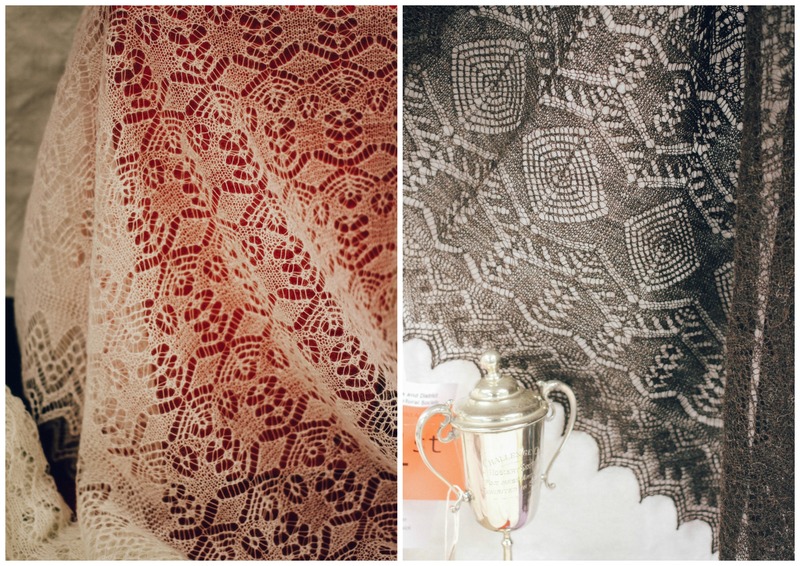 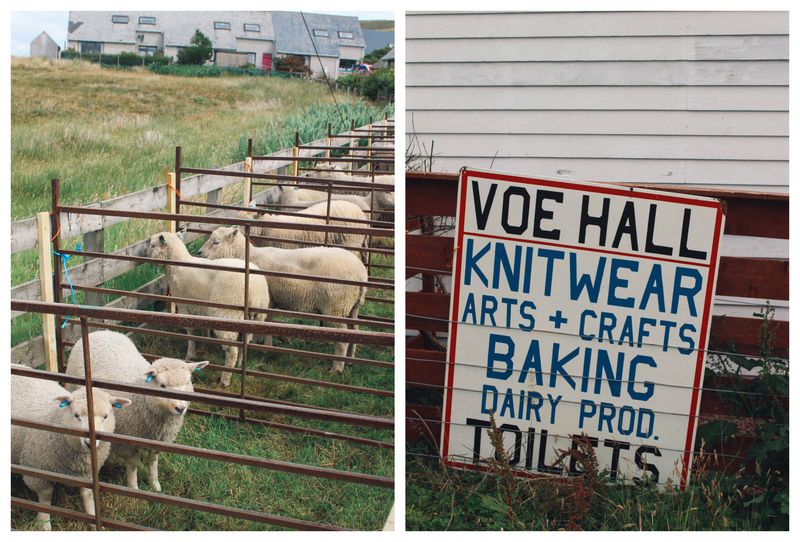 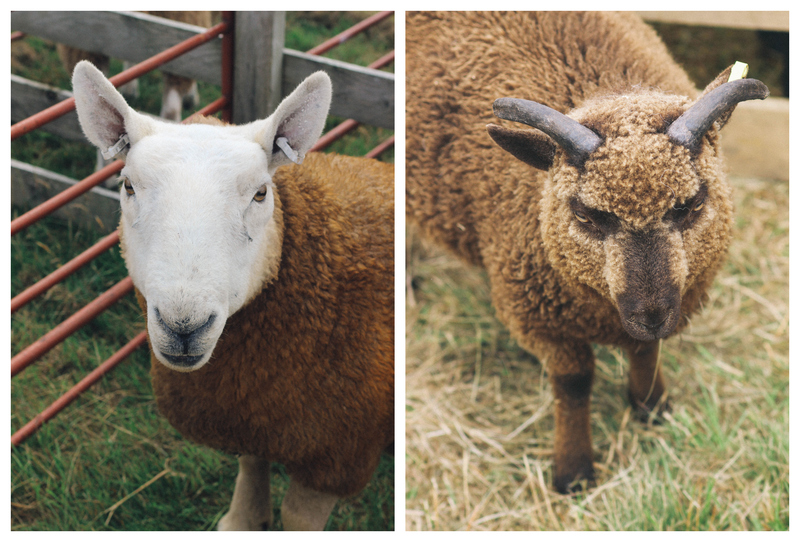 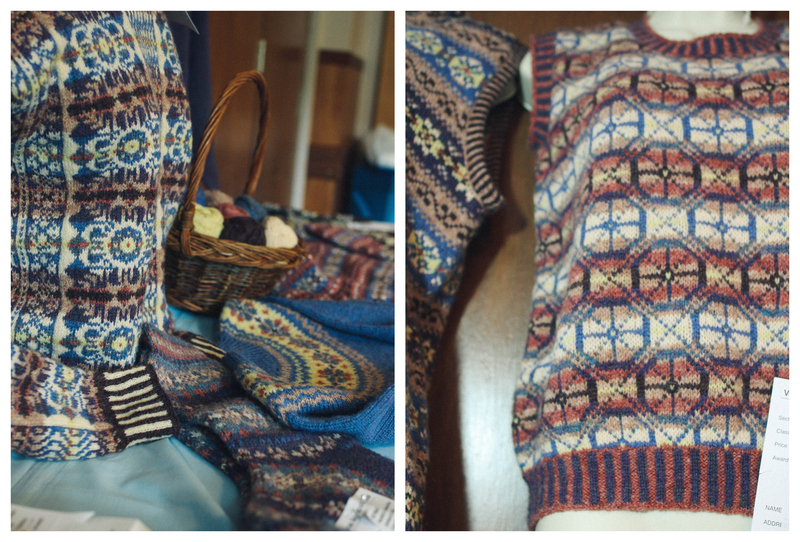 Basically, every kind of Shetland knitting you can imagine! 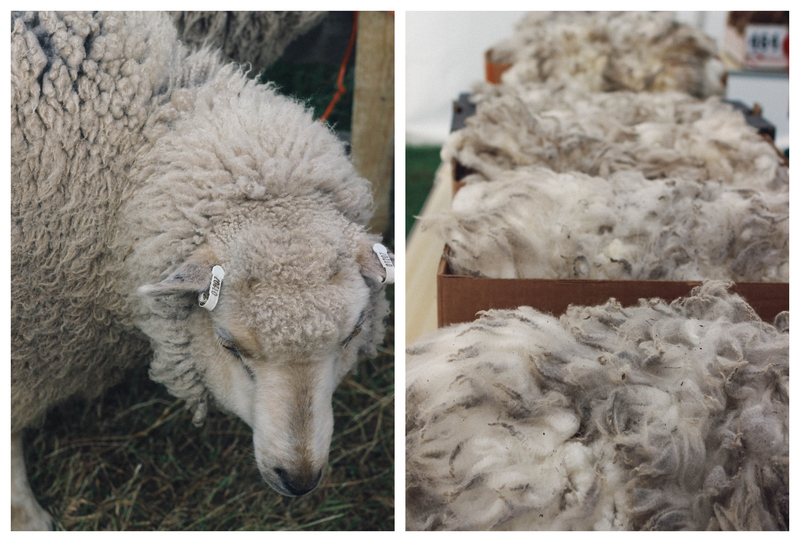 Oliver was judging the fleece so I had a quick look in the tent to see what he had thought of the entries. 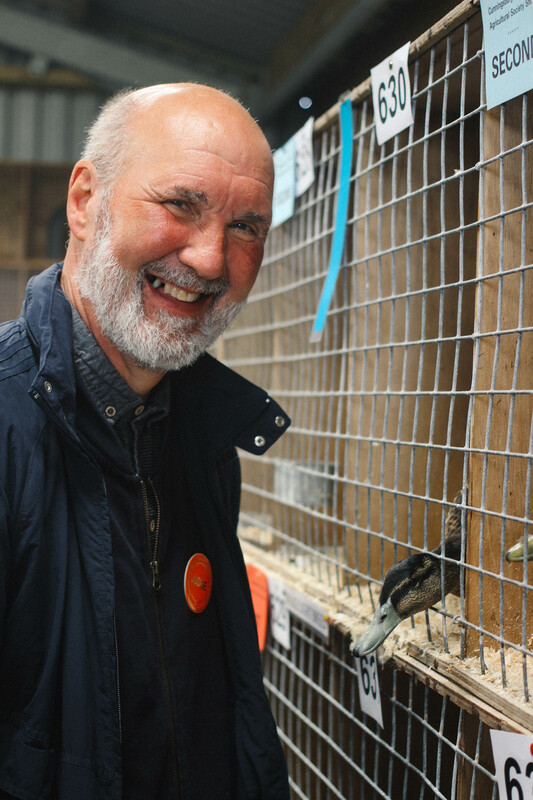 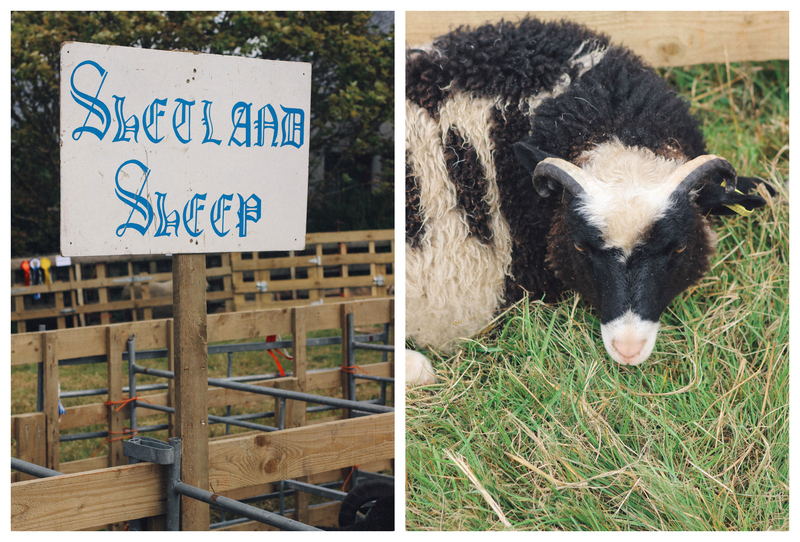 I thought I’d leave off with some more pictures from around the show, if you ever get the chance to come to a Shetland Agricultural show I would definitely take it as it gives you a great overview of Shetland Culture and it’s a great day out!